For a comparison of approximately 17,000 nursing homes around the nation, including 45 in Hawaii, see “Medicare: Nursing Home Compare” athttp://www.medicare.gov/NHCompare/home.asp or call 1-800-Medicare. For current listings of adult foster homes, contact the Department of Health, Certification and Program Monitoring Unit at (808) 453-6416. Notice from ‘Yellow Pages’, for the general information of the public, the following listings in this guide are not necessarily a complete representation of all professionals practicing in the fields or specialties shown. Also, appearance in this guide does not mean that the professional has had any special training in the field or specialty. Callers using Text Telephones (TTY/TDD) are able to communicate through a specially trained Communications Assistant (CA) who relays telephone conversations verbatim. The CA translates typed words into speech and spoken words into typed messages. Speech-To-Speech (STS) enables people with a speech disability to use their own voice, a voice prosthesis or augmentative communication device to make a phone call. A specially trained communications assistant assists them by repeating their words to the other person. TRS provides Voice Carry Over (VCO) for TTY users who speak but are unable to hear. Hearing Carry Over (HCO) for TTY users who can hear but are unable to speak. You can make a TRS call from a coin phone that has a built-in TTY. Local calls can be made at no charge but for long-distance calls use a calling card, prepaid card or make the call collect or third-number billing. Step 1: Lift handset and place it in the holder. Step 2: Dial 7-1-1 or the TRS TTY direct telephone number. Step 3: LED line status: slow flashing – line ringing/fast flashing – line busy. Step 4: If a TTY machine or the CA answers the call, the TTY drawer will open automatically. You may begin typing. Step 5: If the call is answered by a hearing person, press the * symbol three times to start the TTY announcer. Step 6: If the drawer begins to close before you complete your call, press any button on the keypad to reopen it. Step 7: When finished, hang up the phone and the drawer will automatically close. 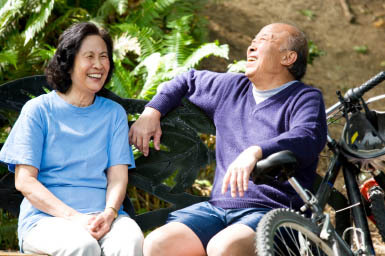 (Visually and physically impaired – seniors, those with stroke and other disabling conditions – can hear four newspapers daily on their own phones; free but must register) To receive an application form, call ATRC or the local chapter of National Federation of the Blind at (808) 722-4243 or call or visit the Library for the Blind and Physically Handicapped at (808) 733-8444. (a website program that connects qualified, low-income people with discounted prescription drugs, direct from pharmaceutical manufacturer. To access their services, go to the website: https://hi.pparx.org). For neurotrauma survivors without access to the internet, contact the Neurotrauma Helpline for their assistance to help you access the service. (Specialists providing healthcare, dental and outreach services to the rural underserved within Hilo, Puna, Ka’u and Kea’au districts. Providers of comprehensive primary care services, including mental health counseling, family planning, prenatal care, dental and support services in East Hawaii). Call 211 for assistance 24/7 for all islands. Website (http://hawaiirxcard.com/index.php) for information on how to apply, application form and participating pharmacies. 75-165 Hualalai Rd., Kailua-Kona, HI. Please contact your child’s school for special education assessment and services. School personnel will direct you and your child to the appropriate special education resources. For further assistance, you can call the Complex Area Superintendent at 974-6600 (East Hawaii), Complex Area Superintendent at 982-4719 (South Hawaii) and Complex Area Superintendent at 327-4991 (West Hawaii).